The time has come to pack away the Halloween decor (but leave the Reese’s out! ), say goodbye to the beautiful fall foliage (it’s very un-fall like in the 70’s this week), and hello to the start of gift guides (is it that time already?). 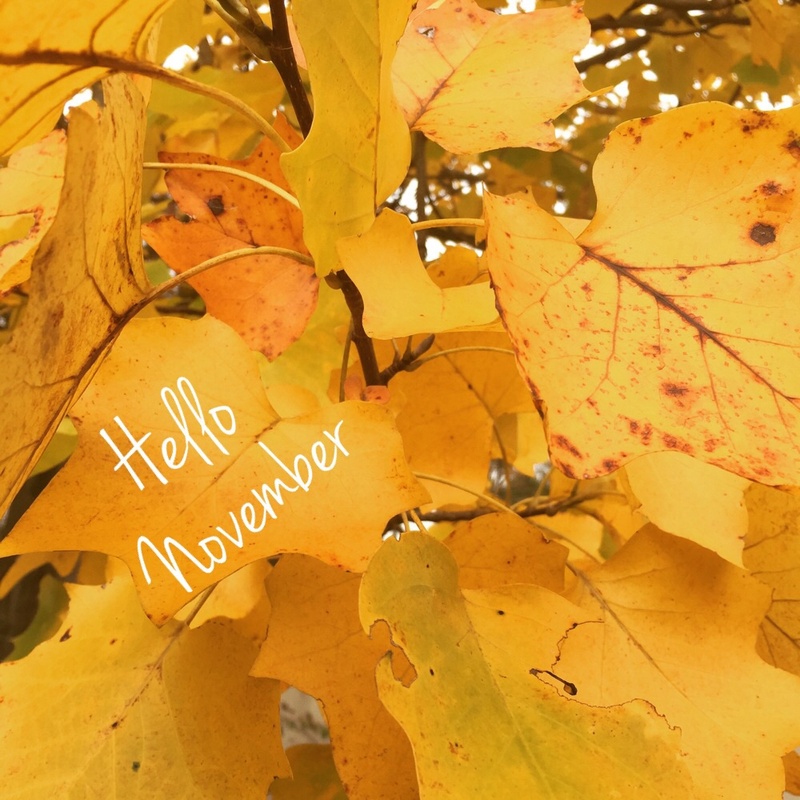 November is my absolute favorite month…because it is my birthday month. Yes, I said month! I believe in having more than just one day to celebrate your birthday, so I’ll be ringing mine in for the whole month. Let the countdown begin! Try: I mentioned in a previous post that I have never had a facial — I know it may be hard to believe, so I’ll let that sink in for a bit. As a birthday present to my skin, I want to try Aveda’s Outer Peace Acne Facial. I’ve been talking about it with my esthetician for a while, and this facial is supposed to be well suited for those with acne and to reduce redness. Wish me (and my skin) luck! There may be some additional pampering while I’m at Aveda — manicure, I’m coming for you. See: I cannot confirm or deny my interest in seeing the new Bond film that is coming out this Friday. I grew up watching James Bond movies, and a good spy film gets me to the big screen. Can I get a martini shaken, not stirred with that? Do: I’m taking full advantage of Long Island Restaurant Week. In case you missed the announcement, fall Restaurant Week is happening now…and runs until Sunday, November 8th. You know all of those pricey restaurants you’ve been wanting to try? This is the time to do it. Participating restaurants are offering a prix-fixe three-course meal for $27.95 per person…and I have the restaurants I want to visit already selected. Aside from my birthday, this may be my most favorite week in November! Be sure to follow me on Instagram for some sweet snaps. Go: I’m looking forward to another day trip to New York City at months end. Perhaps I’ll even be able to see the start of some holiday windows? Love this!!! I love reading updates/recaps of the bloggers I follow and what goals they set for themselves. Thanks, Shell! I’m glad you enjoyed the post. Yay, your birthday is coming up, how exciting! That’s definitely something to look forward to 🙂 I might check out the new Bond movie, too! Thanks, Jalisa! It’s so sad when the leaves all fall, right? I’ve been trying to soak up as much of the fall colors as I can. I’d like to get in one last hike this week while the weather is still unseasonably warm. Hope you’re having a great week! Doesn’t it look good, Summer? I hope you enjoy it. Sounds like such a fun month ahead. I’m afraid I’m not nearly going to have that much fun. I’m trying to get ready for Thanksgiving and my oven just broke last night so now all I can think about is getting it fixed. Oh well. I hope you have an amazing month and a great birthday. Thanks, Kathy! I love that you’re so organized and already planning your Thanksgiving. So sorry to hear about your oven. Hope you can get it fixed soon without too much hassle! Thanks! I’m looking forward to my facial, and I hope my skin enjoys it, too. Great post! Looks like you will be having a fun November. Thanks, Samantha! I’m looking forward to everything on my agenda this month. Thanks, Shveta! Planning your Thanksgiving meal sounds like a great thing to have on your agenda this month. I hope you’re enjoying this beautiful fall weather! PS: I’m hosting a giveaway on my blog, be sure to check it out! Thanks! I’m looking forward to my facial. Hope you enjoy the Bond film! Sounds like you have so many fun things plan! Enjoy restaurant week! Thanks, Valerie! I’ve always enjoyed celebrating my birthday, and I seem to be stretching the big day longer and longer the older I get. I’m glad you enjoyed the post and thanks for visiting Living in Steil! Thanks, Ellese! Restaurant Week is so much fun. They have it in the fall and spring and it’s always great. I’m glad you enjoyed the post and thanks for visiting Living in Steil! I love this! I have always wanted to go to New York during the holidays!!! Thanks, Jenessa! I hope you get the chance to visit. I was gifted a facial once and it was amazing. Enjoy! That sounds like a lovely gift, Amy. I’m looking forward to some pampering this month. I also like to celebrate “my birthday month.” I really don’t do much but repeat “it’s my month” almost every day. One day before my birthday I cook a special dinner to say good-bye to that year and the next day I celebrate my big day. I have never had a facial, either! If you like it, I might be next! I usually take advantage of Restaurant Week to go to my favorite steakhouse or a new place. I’m glad I’m not the only one who celebrates their bday for a month! I’ll definitely let you know how the facial goes. I first got hooked on Restaurant Week when I lived in DC, and then to my delight, found out they also had it on Long Island. It’s such a great way to try new places! I forgot to wish you a wonderful month and a very happy birthday! Sorry! Thanks, Kathrine! I hope you enjoy the movie. I have only had one facial in my entire life and your post has made me realise I also deserve one! Thanks, Jeni! I’m glad this post inspired you to treat yourself to a facial. I hope you enjoy it and thanks for visiting Living in Steil! long island restaurant week sounds so amazing!!! It’s a great week, Kelsey! I’m glad you enjoyed the post.